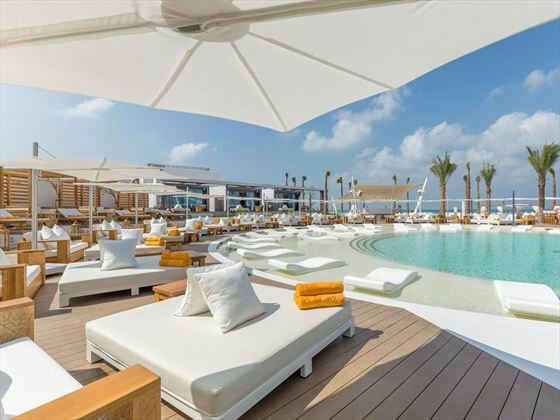 Trendy travellers looking for style and luxury will fall in love with Nikki Beach Resort & Spa’s classy mix of white interiors adorned with light woods and Arabic influences. 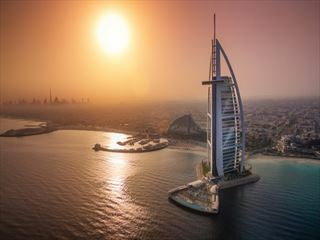 Nestled on Pearl Jumeirah’s waterfront, this is a wonderfully contemporary and cool resort, with stunning Arabian Gulf views and access to warm golden sands. Each of the modern rooms, suites and villas offer a spacious and minimalist vibe, with white furnishings and pops of blue adding a sophisticated, Mediterranean ambience. The floor-to-ceiling glass doors open out onto private balconies or terraces, and the custom minibar and bespoke entertainment system means your stay can be completely tailored to your personal desires. 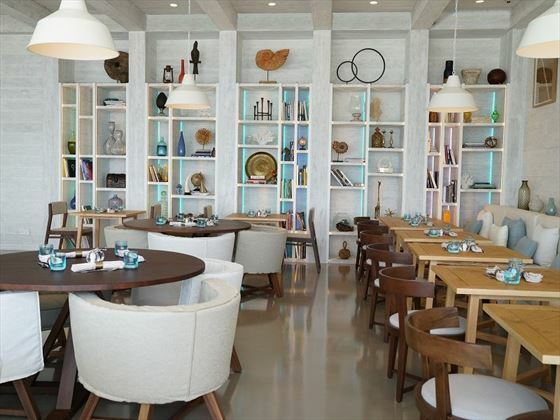 Nikki Beach’s cuisine is locally grown, and offers a splendid array of flavours from all around the world. 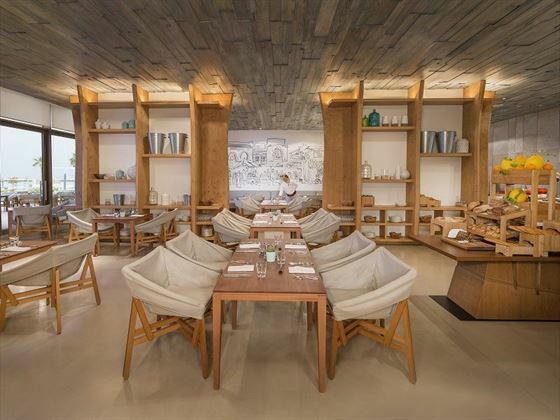 Head to Key West for a vibrant dinner focusing on grilled meats curated with signature spices, or tuck into fresh sushi at the Beach Club. Nikki Privé offers an intimate spot to enjoy a pre-dinner drink, whilst the Soul Lounge serves up fancy Bellini cocktails alongside chilled tunes in the daytime, and upbeat DJ music in the evening. 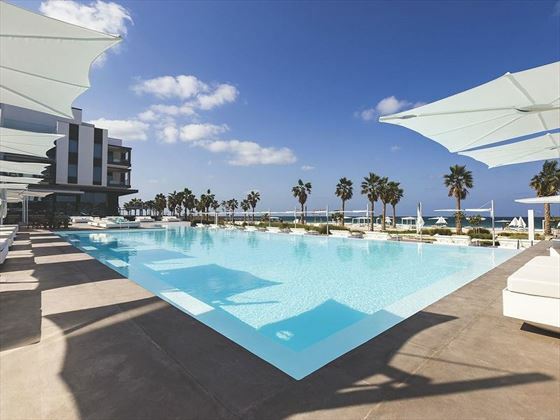 With such a gorgeous pool and lots of cosy sun loungers, days are well spent soaking up the sun and enjoying the exclusive, luxurious atmosphere. If you fancy a break from relaxing, there are plenty of non-motorised water sports to try, or you could indulge with a soothing massage in the Nikki Spa. 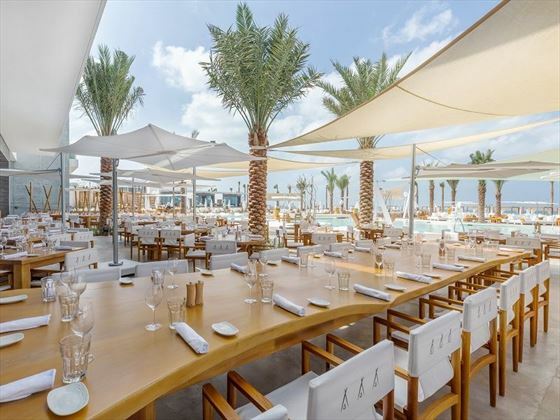 Nikki Beach Resort & Spa is nestled on Pearl Jumeirah, an exclusive reclaimed island home to spectacular hotels, a unique promenade, a town centre, and mosques. The resort is perched on the island’s vibrant waterfront, offering stunning ocean views and easy access to the sugary sand beach. 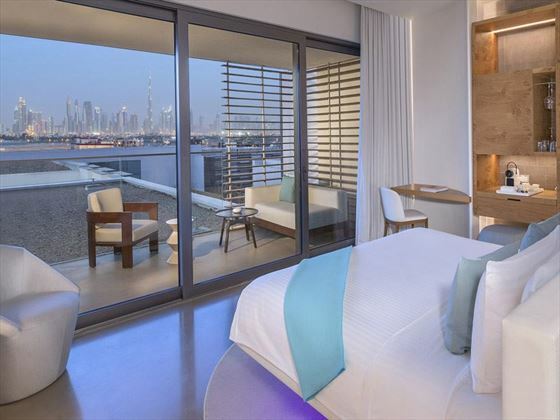 Covet Room – Ultra-cool 55sqm rooms, with sleek décor and views of the Burj Khalifa. 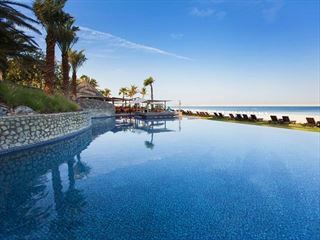 Luux Room – Ideal for couples, with cool blue accents and gorgeous views of the Arabian Gulf from the balcony. 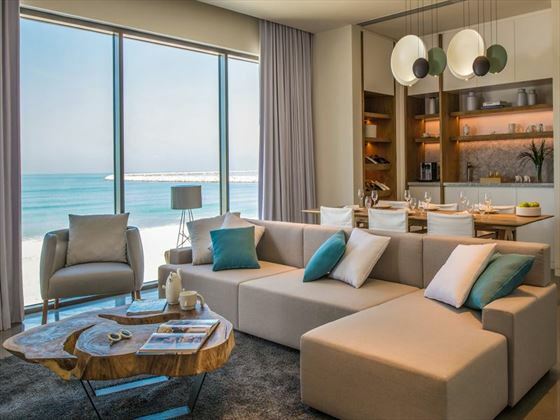 Signature Suite – Stylish and spacious 81sqm suites with sea and skyline views, featuring a separate living area. 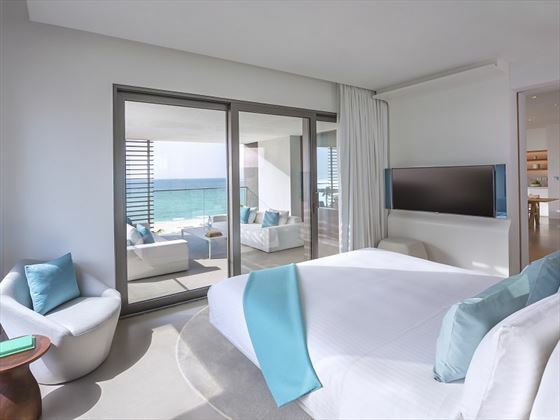 Ocean Luux Suite – Sophisticated 100sqm suites, with floor-to-ceiling windows overlooking the ocean. Ultra Suite – Elegant beachfront 137sqm suites, located on the top floor with two bedrooms and a gorgeous private terrace looking out into sea. 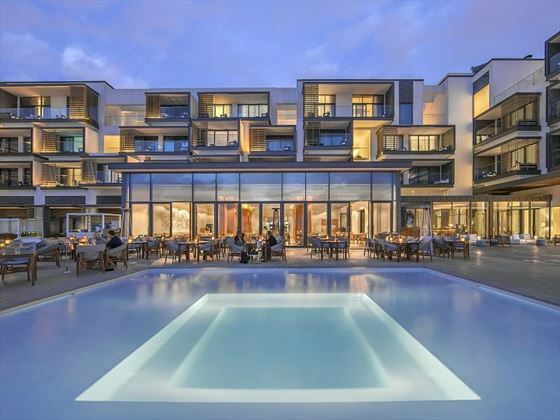 Ultimate Suite – Light and beautiful 162sqm suites, nestled on the top floor with an expansive balcony, two bedrooms, a large living area, and a kitchenette. 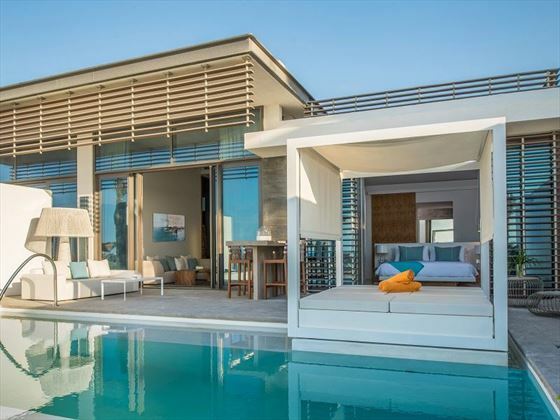 Nikki Beach Villa – These contemporary villas feature either one or two bedrooms, with an expansive outdoor area fit with cosy lounge and dining areas and a private pool. The bedroom and living areas are airy and spacious, with full size glass doors opening out onto the terrace. Ultimate Beach Villa – This villa is a little slice of paradise. The expansive, open-air villa features a huge outdoor terrace with a private pool and double sun loungers, plus its own private entrance, a large living and dining area, and three bedrooms. You’ll also have a 24-hour in-house host and a private chef. 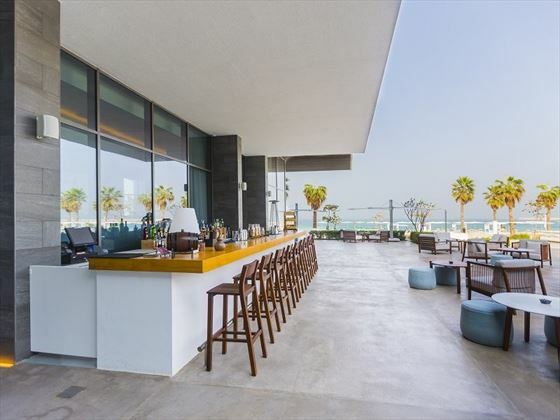 Soul Lounge – A contemporary lounge with minimalist décor, a gorgeous collection of Bellini and Spritz cocktails, and unsurpassable views of the Arabian Gulf. Cool, chilled-out tunes set the soundtrack in the day, whilst lively DJ beats set the tone when the sun goes down. Opening times: 8am-1am. 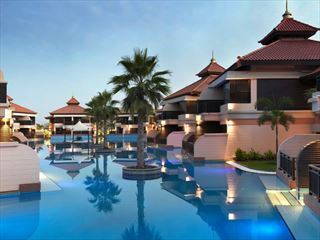 There is a 27-metre lap pool and bubble pool, adorned with sun loungers, beds and cabanas. The pool leads on to a gorgeous golden sand beach. Nikki Spa – A soothing spa featuring a number of specially appointed spa suites, including a Hammam, sauna, steam room, ice fountain, and gorgeous indoor and outdoor relaxation lounges.